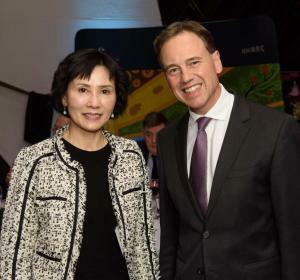 World renowned cancer researcher, UniSA's Professor Shudong Wang, was honoured at the National Health and Medical Research Council’s annual Research Excellence Awards. World renowned cancer researcher, University of South Australia‘s Professor Shudong Wang, was honoured at the National Health and Medical Research Council’s (NHMRC) annual Research Excellence Awards in Canberra on 27 June, winning the Top Development Grant for 2017. Professor Wang, who leads the team at UniSA’s Centre for Drug Discovery and Development, was awarded the prize to develop a new and effective enzyme-targeted drug for cancer patients.